Treat yourself or a loved one with these stunning stud earrings. 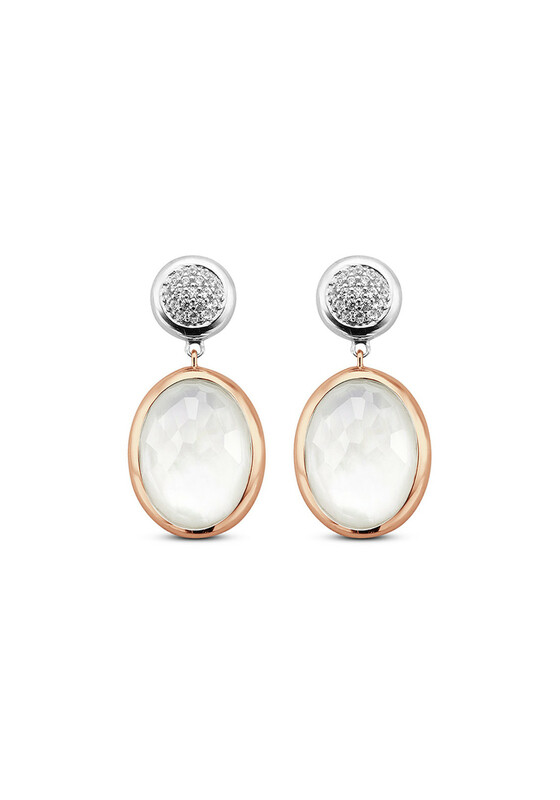 With a silver stud and rose gold drop these are a light weight formula earring that has the potential to brighten up any outfit. 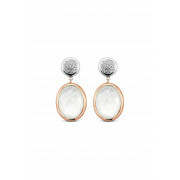 The centre of the earrings are a beautiful pearl colour that change in the light.